We’ll look at some random little thing in our kitchen or on a store shelf and think “I could make something really cool out of that”. 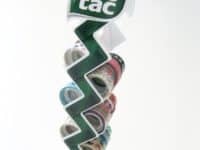 That, ladies and gentlemen, is how we found ourselves on a total kick of wanting to make cool things out of Tic Tac boxes! 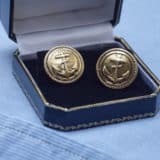 They’re certainly not the most conventional crafting supply, but you’d be surprised how many creative things you can actually fashion out of the little boxes if you’re willing to (please excuse the pun) think outside the box a little. 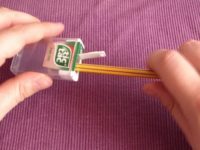 In fact, these make for such a versatile craft that there are even some really creative things you can make with the Tic Tacs themselves. 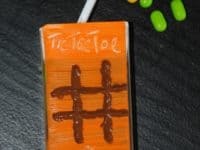 Just in case you’re as intrigued by the idea of crafting with Tic Tac boxes as we were, here are 15 of the coolest DIY ideas we’ve come across so far in our search! 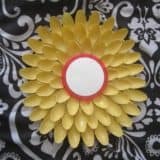 When it comes to crafting with unconventional supplies and tools, you can bet that our kids are immediately enthusiastic about the whole concept, which means they always want to help us out. 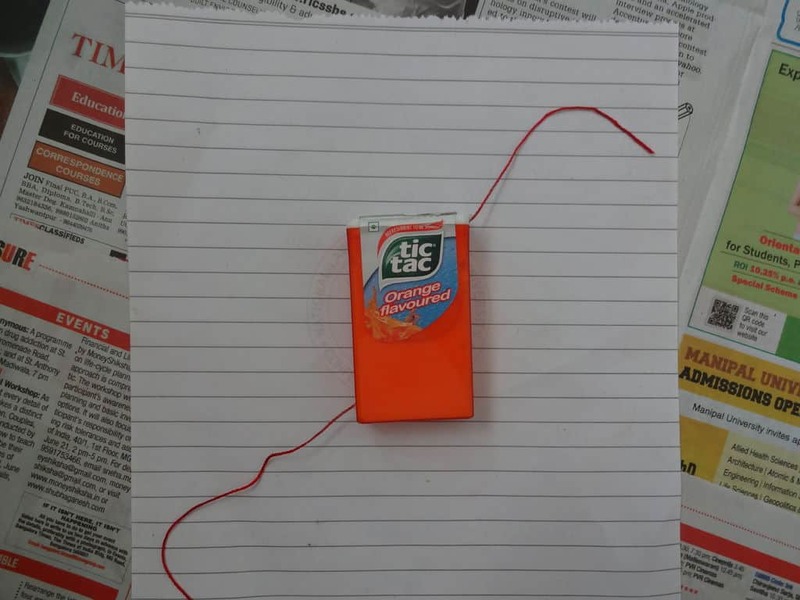 That’s how we end up making so many kids’ things out of Tic Tac boxes! 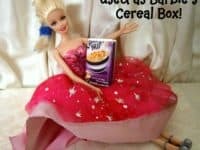 This adorable little Barbie cereal box was definitely one of the biggest hits in our house. 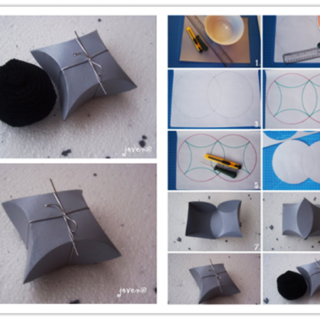 The process is super simple, but just in case you feel like you could use a bit of guidance anyways, here’s a cute tutorial from Karima’s Crafts. Are you headed out on a long road trip and you’re building goodie bags full of toys, games, and treats to keep your kids busy? Then here’s one more totally cute idea to slip into those bags before you go! 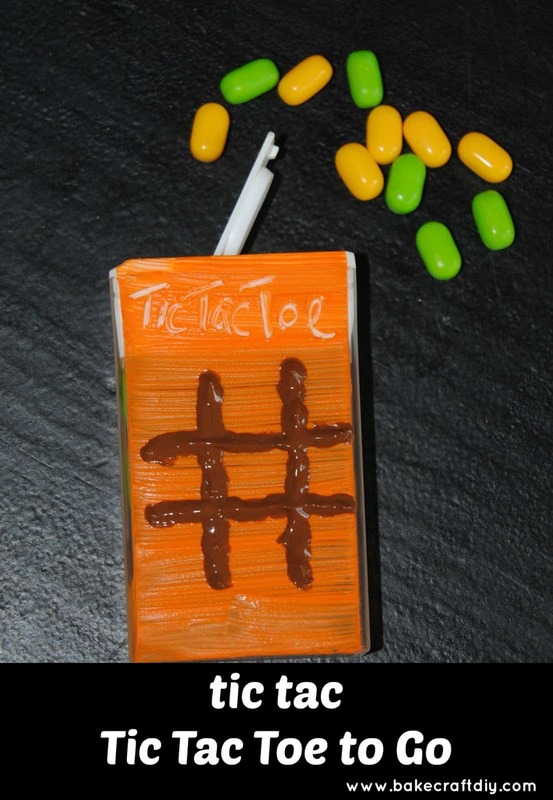 Bake, Craft, DIY suggests peeling the label off a box of Tic Tacs and painting a grid for a game of Tic Tac Toe on the side instead. The kids can use the Tic Tacs themselves as pieces to play a quick game at a rest stop when you take a break from driving to eat lunch! The rule in our house is usually that we don’t play with our food, but we’d make an exception for this cute idea! 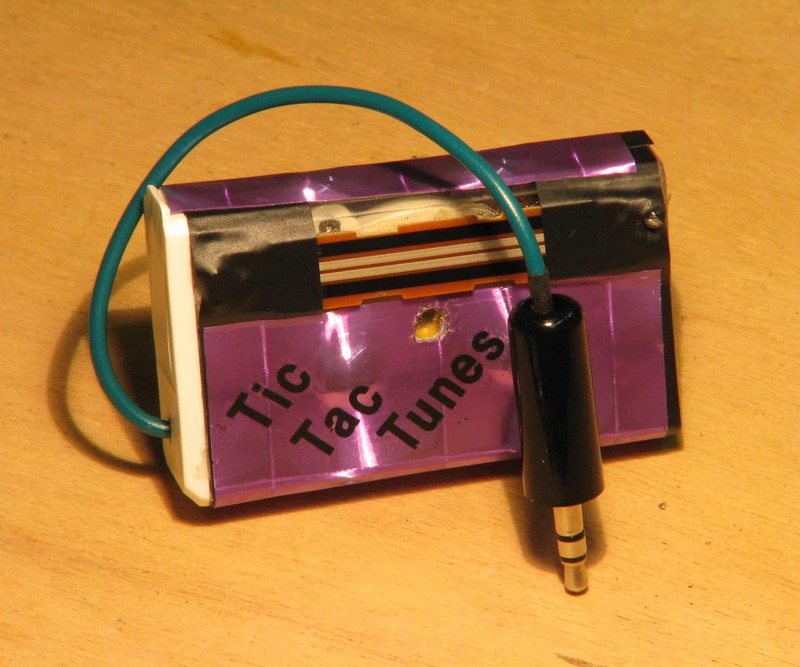 If you’re going to get creative and take on a DIY project, would you prefer to do something that involves tinkering carefully with wires and creating your own electronic piece? 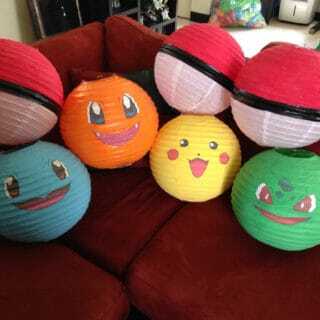 Then we think perhaps we’ve found the perfect project for you! 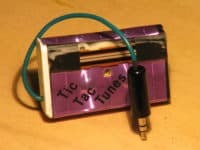 This awesome, clearly outlined tutorial from Instructables guides you step by step through the process of making a tiny speaker out of a Tic Tac box so you can amplify your music a little while you study or clean. 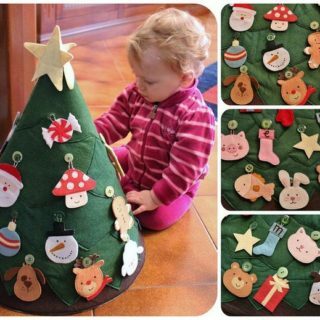 We know that Christmas is nowhere near, but we’ve always been the kind of DIY enthusiasts who like to find seasonal ideas now and stash them away for later. That way, when the holiday does finally roll around, you’ve got plenty of crafty little decor or gift options to choose from! 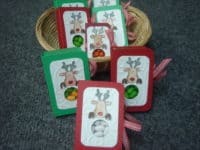 These adorable little Tic Tac Christmas favours featured on Split Coasts Stampers are the perfect example of what we mean. 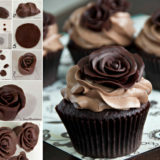 They make a great little gift for coworkers and they’re wonderfully inexpensive to make. 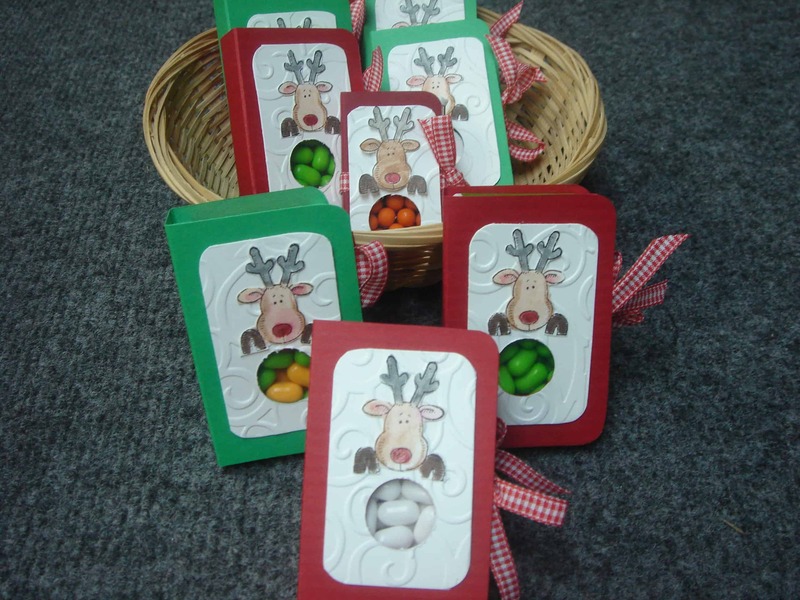 Were you pretty intrigued by the idea of stocking up on seasonal crafty plans and you liked the concept of using Tic Tacs in the process because they’re nice and affordable, but Christmas wasn’t the holiday you were really thinking of? 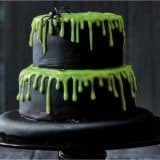 Well, here’s another seasonal idea for you, just in case! 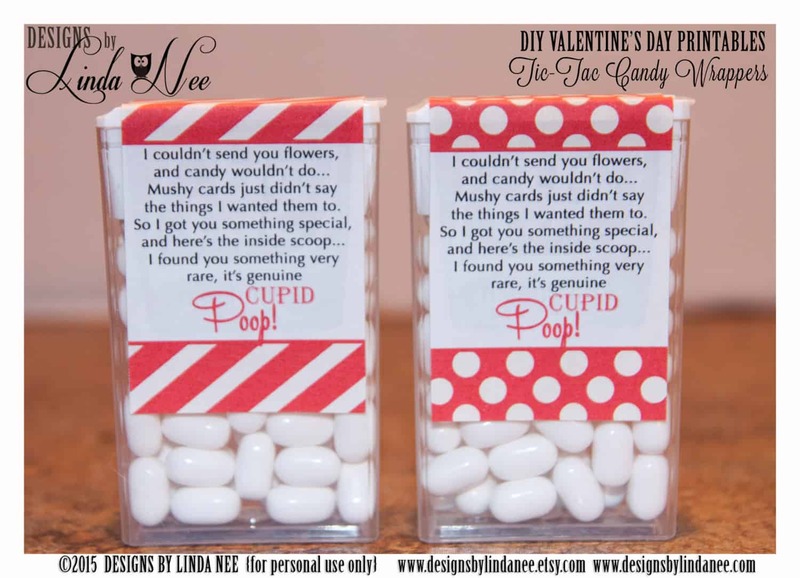 Designs by Linda Nee shows you how to design and print your own funny “Cupid’s poop” labels to transform a box of Tic Tacs into a cute Valentine’s Day favour that’s appropriate for just about anyone. 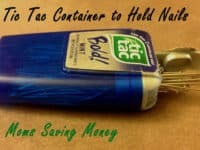 When you started thinking about creative ways to use Tic Tac cases, did you actually have something more along the lines of a “life hack” in mind, rather than an actual crafting project? Well, if you have long hair, we think perhaps you’d prefer this simply innovative idea from Rachel Schultz! 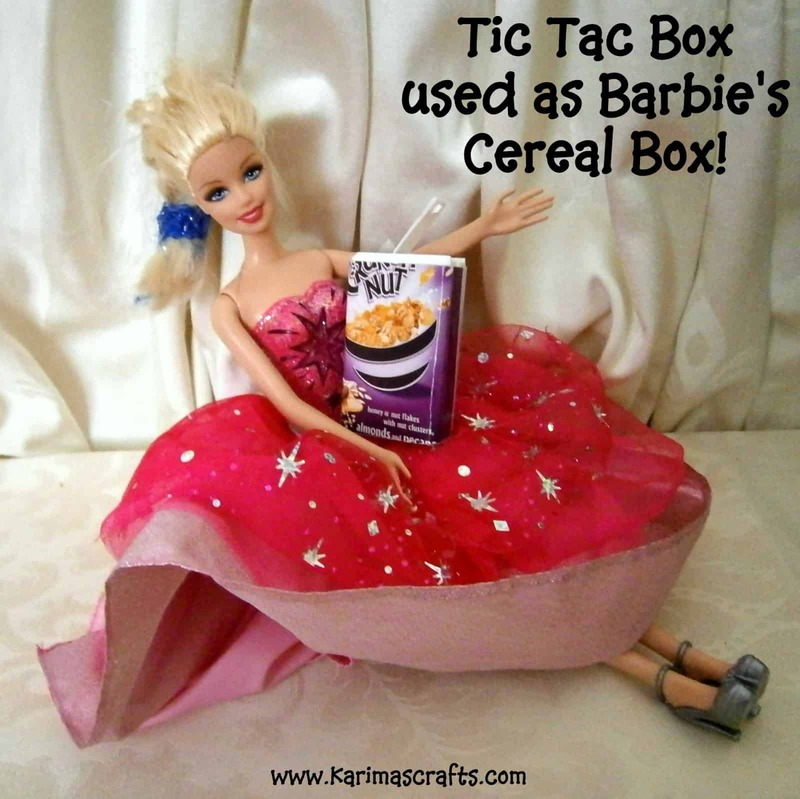 Simply empty a pack of Tic Tacs (a delicious step, if you ask us), fill the box with hair pins, and voila! A travel sized pin case that will help you stop losing them quite so quickly. 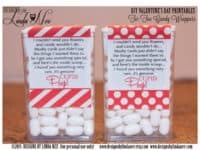 Are you still thinking about how cute the Christmas Tic Tacs party favour idea was but you’ve actually tried it before and you’re looking for a new version or a new way to dress your Tic Tacs box up in order to make stocking stuffers? 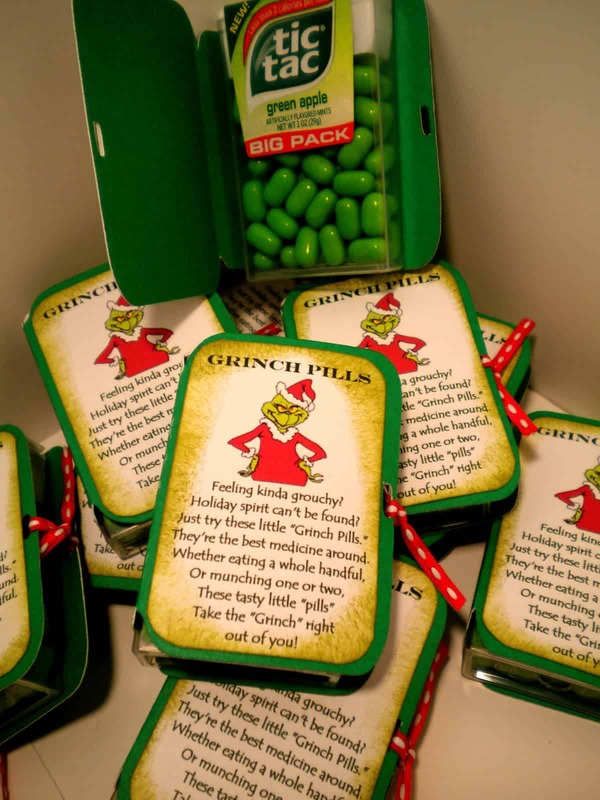 Then we definitely think you should take a look at how Scrapcation Getaway made these little green “Grinch pills”! 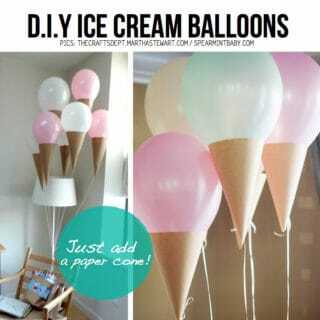 These are another great idea for coworkers or a classroom. 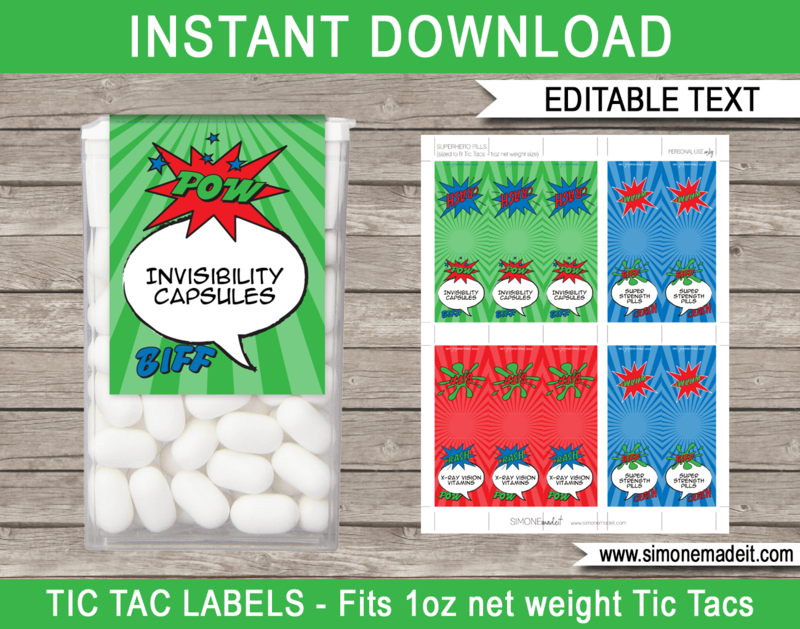 Perhaps we really caught your attention when we started talking about Tic Tac party favours but it’s not a holiday you’re preparing for and instead you’d like to find a party favour for a kid’s birthday? Well, we actually recently planned a super hero party for our kids and it was a huge hit! 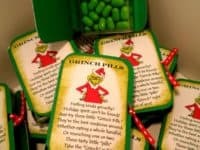 In the goodie bags we made for each child that came, we put in a box of Tic Tacs dressed up to look like “invisibility pills” and the kids spent the rest of the afternoon eating mints and pretending they couldn’t see each other. It was adorable and we have Simone Made It to thank for the idea! 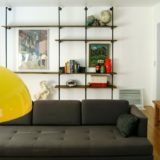 Do you live in a tiny apartment, so you’re always on the lookout for awesomely crafty decor things that are on the same kind of small scale as your space? 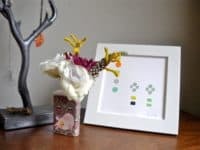 We’ve been there and finding miniature decor pieces that helped us keep our place cheerful looking without taking up too much space was our absolute favourite thing. 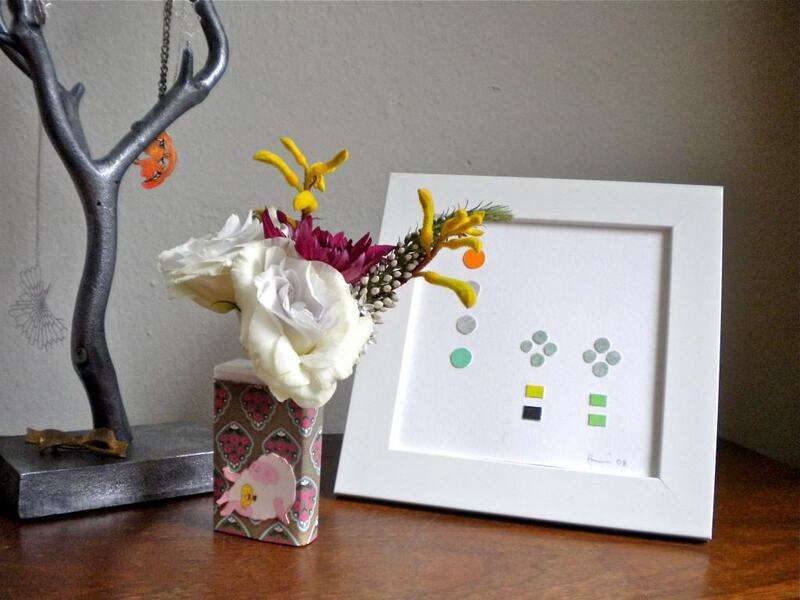 That’s why this adorable miniature vase idea from Five Sixteenths, which is made from a decorated Tic Tac box, caught our attention so well! Are you an artist or a teacher, or even just a parent, who finds yourself constantly in need of a pencil sharpener, but you find the ones with a casing for the shavings brea too easily and you don’t like that the single blade kind just lets the shavings fall on the floor? 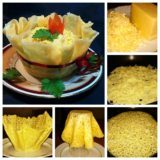 Then we have a feeling you’re going to appreciate how affordable (and totally useful) this tutorial from DigitaLLoupe is! 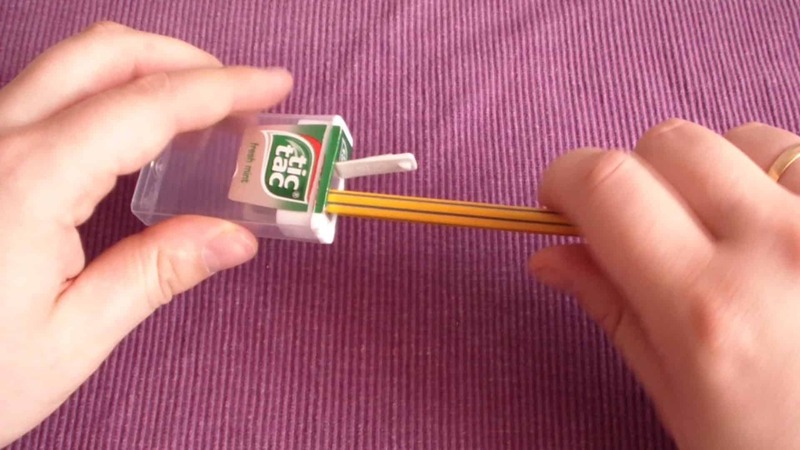 They guide you step by step through the process of making a Tic Tac pencil sharpener of your very own. 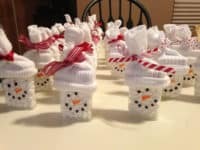 Okay, we know we’ve talked a whole lot about how great Tic Tacs and their boxes can be for making adorable Christmas favour, especially for a post that isn’t actually Christmas themed, but we just had to include one last idea because it’s too darn cute to pass up! 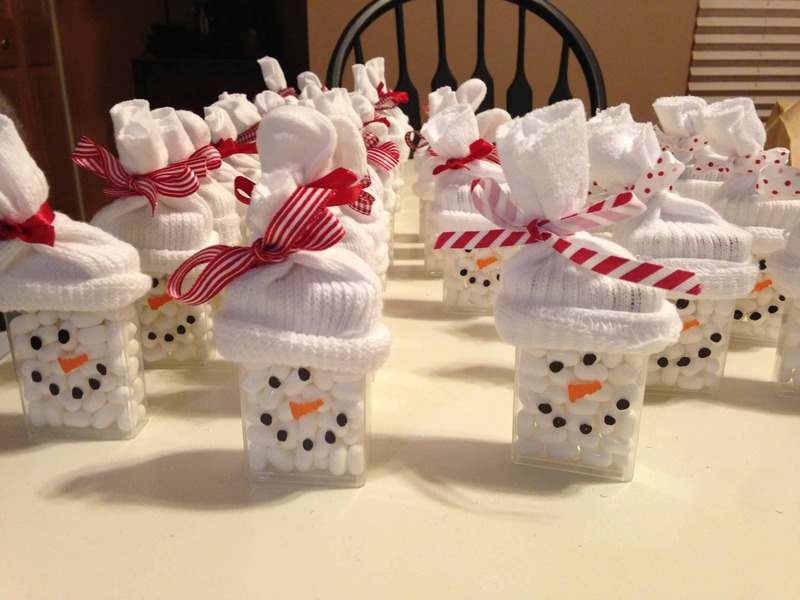 This Pinterest suggests using a box of white Tic Tacs and some plain white socks to create funny little snowmen favours wearing cozy looking winter toques. 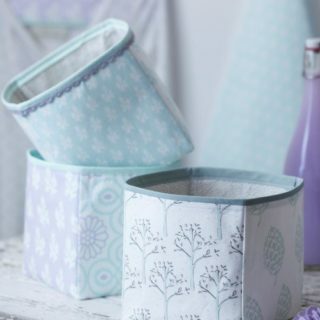 If you’re an avid crafter and DIY lover like we are, then we’re sure you already know all too well how quickly all the crafty little embellishments and trinkets can pile up, and how quickly they can scatter and make a mess if you don’t keep them contained. The packaging things like rhinestones, beads, and trim coming in from the store, however, aren’t always ideal for storing them. 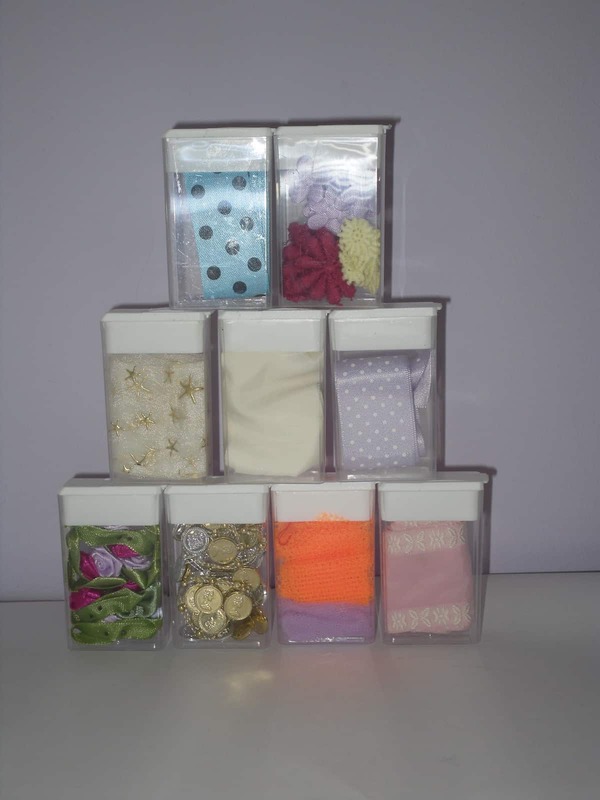 That’s why we thought this idea from Cut Out and Keep for keeping little crafting supplies in empty Tic Tac boxes was such a good one! 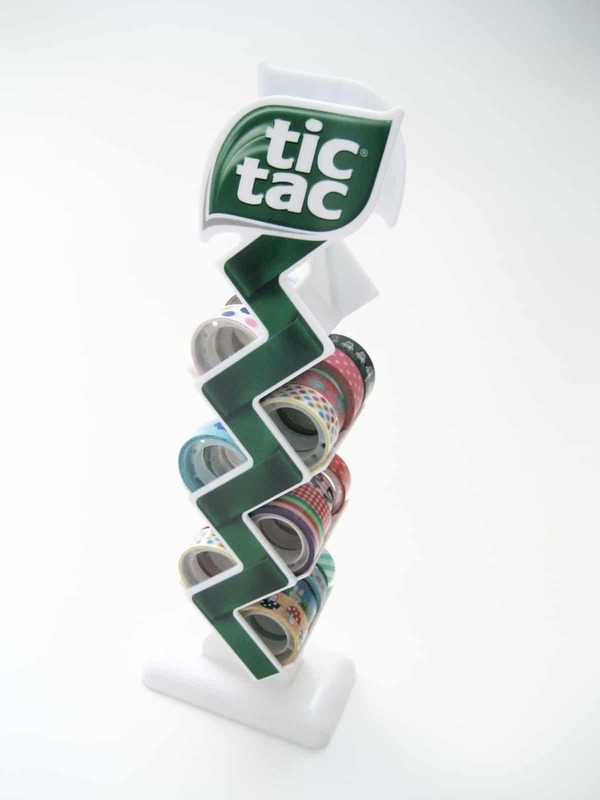 Were you pretty intrigued by the idea of the Tic Tac box hair pin holder but you’re more of a handy person than a hair styling person? Well, why not use that basic concept but store what you need to keep contained inside instead? As long as it’s something of a size that it’ll fit in the box and move in and out of the opening easily, it’ll work just fine! 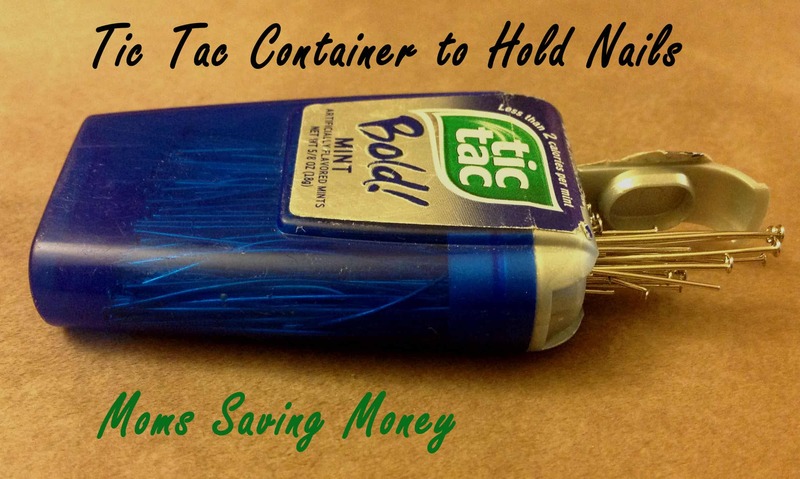 This Tic Tac nail case made by Moms Saving Money is the perfect example of what we mean. 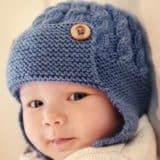 Are you the kind of crafter who has always loved embroidery floss based projects and frequently does things like string wrapping or cross stitch? 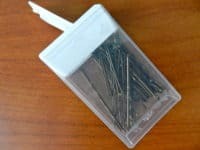 Then here’s an idea that might help you keep your supplies a little more organized, particularly the the floss itself! We’re very grateful to have learned how Indy Craft keeps their floss from knotting and tangling by winding it neatly into a Tic Tac box and letting it feed out the top when you pull the end. Have you ever seen those whole pack racks of Tic Tacs on sale at bulk stores like Costco? Well, if you’re planning on making some of the party favours we’ve shown you so far then you will need lots of Tic Tacs and buying a bulk tack might not be such a bad idea. 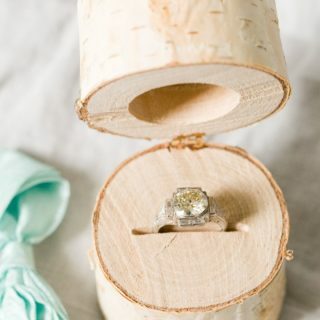 When you’re done with your favours, however, don’t throw the rack itself out! Instead, check out how Adorablest turned their Emptied Tic Tac rack into an awesome holder for craft supplies like ribbon and washi tape. 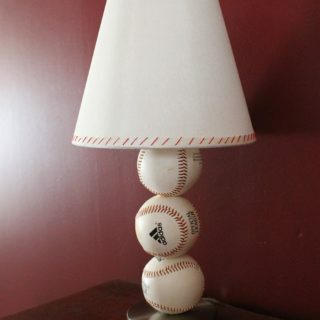 We love upcycled organization! 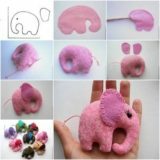 Say Goodbye to a Tangled Life: 13 DIY Earphone Holders!